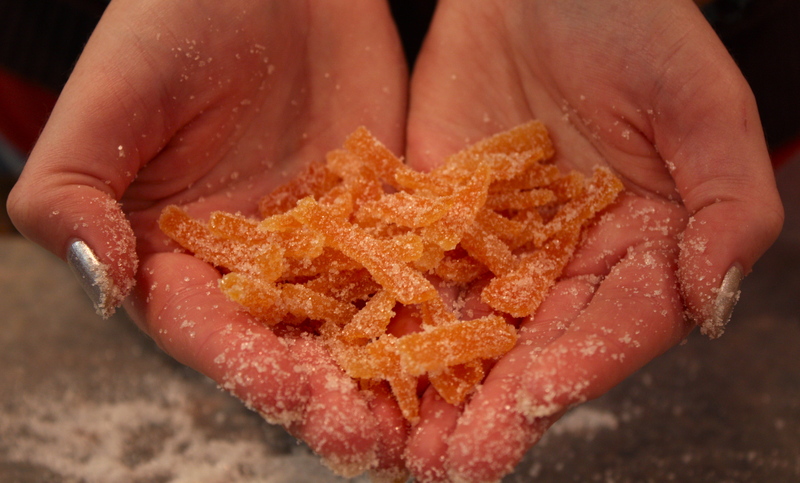 Candied Orange Peel | "Il faut goûter"
Remember those Orange Slice candies? 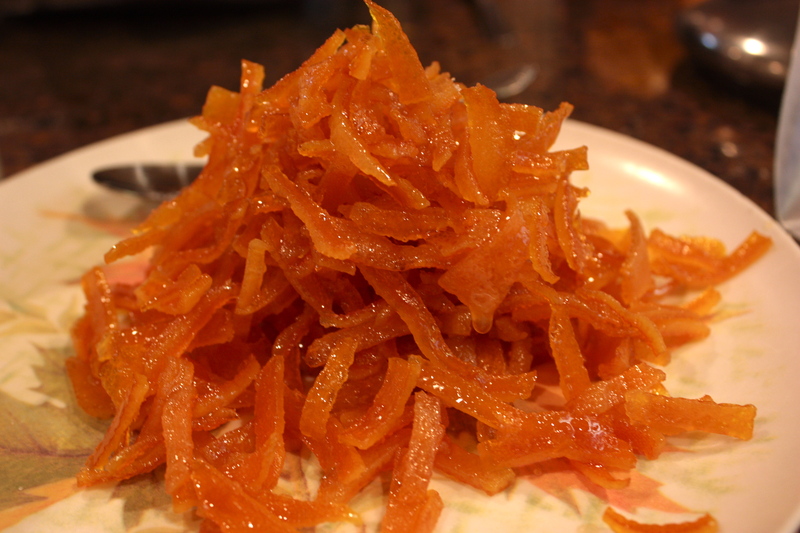 Candied orange peels are a bit like those, but more orangey-wonderful. They’re a tasty addition to cakes, cookies, and candies. They are candy on their own, and Matt thinks they’d be nice as after dinner ‘mints’, a sort of fresh and cleansing digestif. I think they are a delight to make–so pretty and fragrant, plus the candying process yields a yummy by-product: lovely, citrus-scented orange syrup! One recipe that results in two delicious and functionally different products? Oui. Oui, oui, oui. Eat some juicy oranges, and don’t throw away those peels! Wash oranges thoroughly with warm water. With a knife, score the oranges, cutting through the peel and pith, but not the fruit. I made 5 cuts down the length of each fruit, yielding 6 slices of peel from each orange. 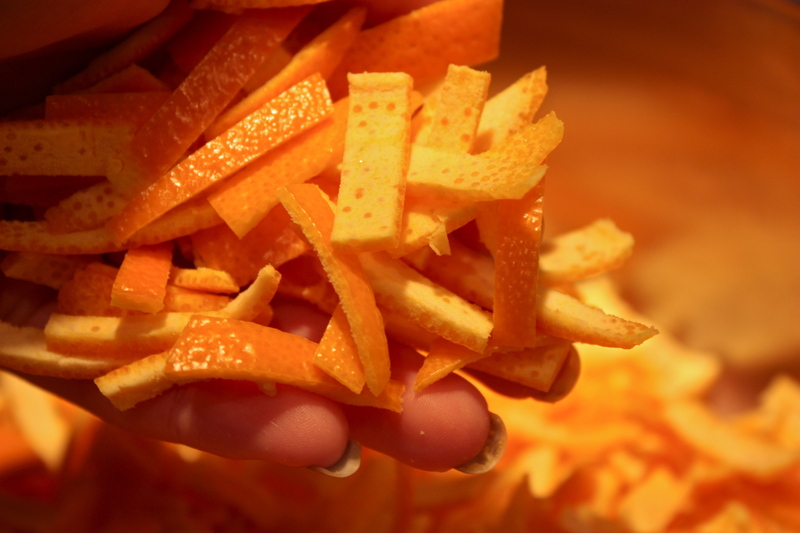 With your fingers, slowly pull each slice of peel+pith from the orange. 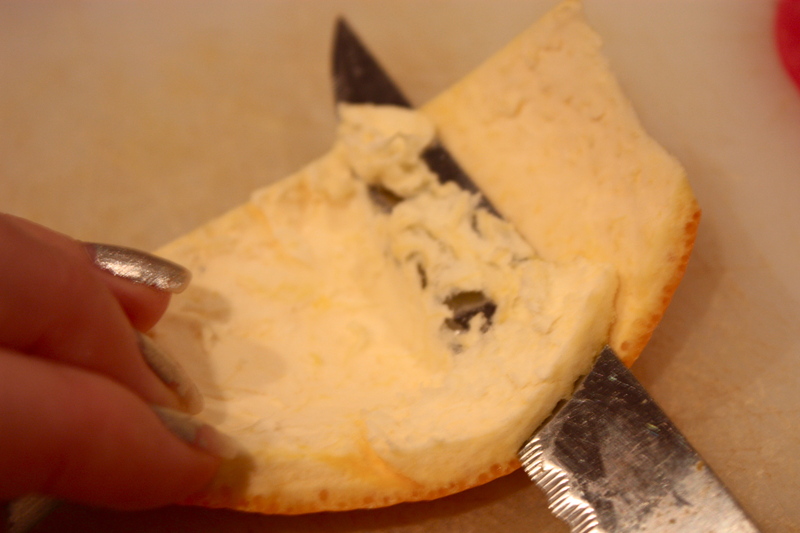 Once the peels are removed, slide a knife across the pith side to remove most of the white pith from the orange part of the peel (a bit of remaining pith is ok!). Cut the peels down to your desired size, then put them in a pot and pour in enough water to cover the peels. Bring the pot to a boil over high heat, then remove the pot and drain the peels of water. Repeat this 1 or 2 times (this reduces bitterness). I did this boiling process 3 times. Next, stir the sugar into the 1 cup of water in the saucepan. Bring to a simmer and cook 8-9 minutes, until a candy thermometer reaches 230-234 degrees F. Add peels and adjust heat to retain a simmer. Simmer peels about 45 minutes or until they become translucent. Swirl the pan to move the peels around instead of stirring them with a spoon. Drain the peels, and reserve the syrup*. 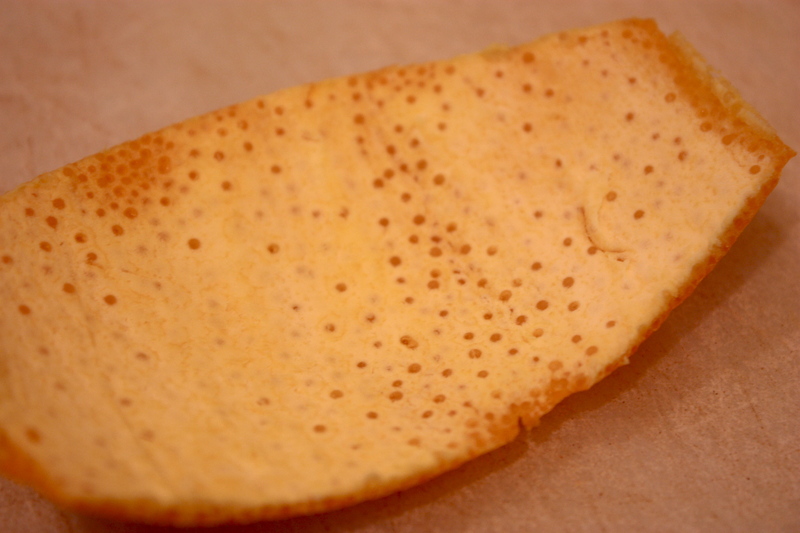 Roll the peels in sugar, then lay them out on wax paper for a few hours to cool and dry. 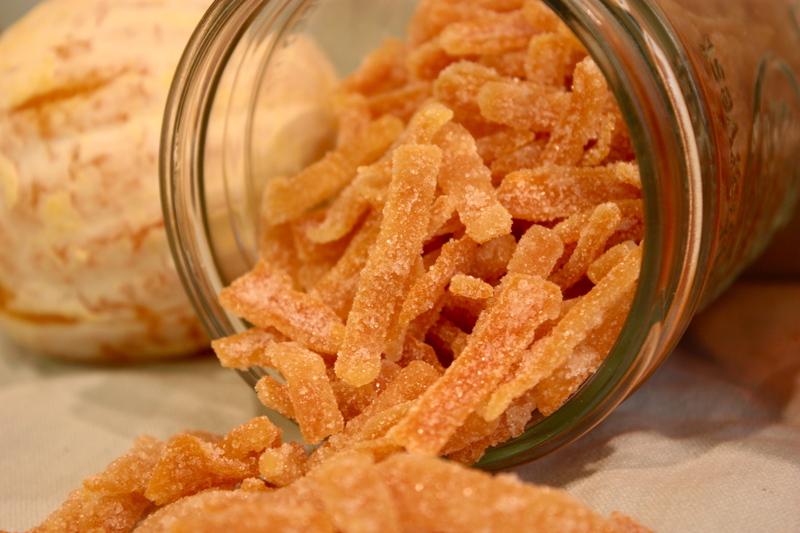 Store candied peels in an airtight container. *You can use that syrup as a fragrant sweetener for teas, cocktails, and sodas! **And I’ll be back soon with a recipe idea using those orange peels. Hint: I learned this at a French chocolate fair! 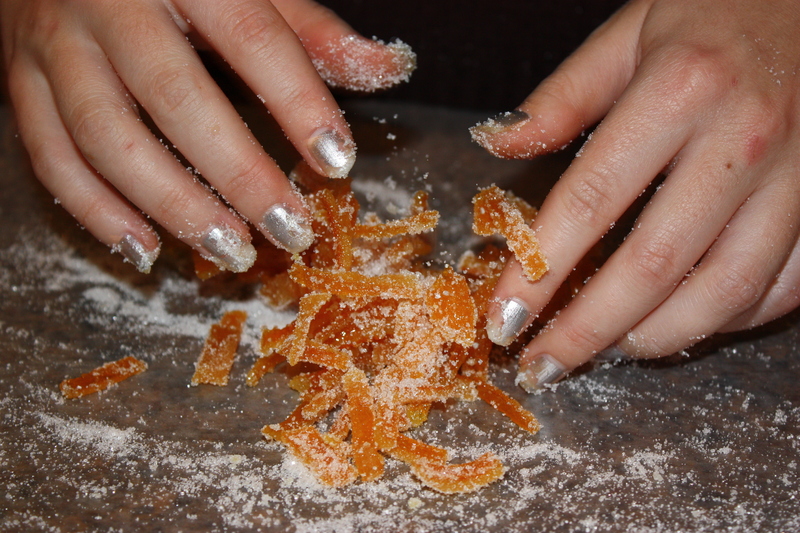 This entry was posted in Sweet and tagged candied orange peel, Cooking, food, Holiday, orange syrup, recipe by needtotaste. Bookmark the permalink. Do you think the pre-boiling and draining reduces the orangeyness at all, in either the peels or the syrup? Just curious. I think the boiling reduces the bitterness in the peels (and any leftover pith), but I think it does probably reduce the orangeyness of the syrup a bit, since you pour off the water each time. The peels are very orange-y, and the syrup is less strongly so but still a delicious flavoring for drinks! Oh we did this with lemons. Yours look even better! Real fruit candy, it’s so satisfying! Delicious, delicious, delicious! I can’t really imagine any citrus peels that wouldn’t be fabulous candied this way. I’ve never done any others, but I did read somewhere that someone’s candied grapefruit peel wasn’t delicious… who knows? very unique! great way to save some more food. Wow, thanks for sharing this! I’ll definitely make this one of these days. I am going to make these right now! So glad Greg from Rufus Food and Spirits Guide shared your post. The photos and detailed info are very helpful. Hey, great! Glad to help!